Why should I hire a “Professional Pet-Nanny”? What exactly do you do? 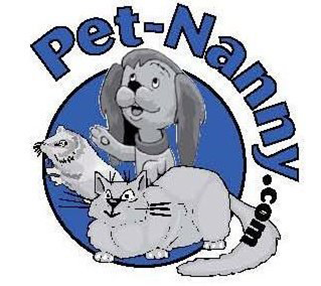 Pet Nanny Inc. was started in 2000 and is part of a rapidly growing industry dedicated to a variety of pets where they are typically most comfortable in their own home environment, following their own daily routines and traditions. We feed, water, exercise, walk, play, clean up after and lovingly care for your pets every day you are away. In addition to vacations you have the added benefit of daily home visits, during which we typically bring in your mail and newspaper. We can water your plants and alternate lights; open/close your window coverings so your home has the appearance that you are there. You get daily notes of our visits and the cute things your pets did while you were away. We do ask that you give us a quick call when you return home from your trip because our job is not complete until your pets are back in your care. Most importantly you have peace of mind so that you can be away without worry about your pets and home. 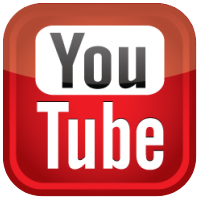 Why should I use your services, when I might get a friend or neighbor to do it? It is great to have a friend, neighbor or family member willing to help you while you are away. We also know how difficult it is to impose on someone to take on such a big responsibility and keep your privacy – now you don’t have to worry. We are Insured, Bonded, have solid references from satisfied clients, and referrals from veternarians. We care for a wide variety of domestic companion animals, including but not limited to Dogs, Cats, Rabbits, Birds, Chinchillas, Iguanas, Ferrets, pet pigs, small animals and many others. We do care for horses and chickens but not livestock. It is also against our policy to care for aggressive animals of any kind. Please call the office if you have any questions. We make our services competitive and affordable. The cost varies depending upon the service you request and how many pets you have and the length of your absence. We don’t go by your pet’s size or weight but by how many little wet noses there are. We also have special multi-pet combination rates. We are also set up for pre-payment with cash, check, Visa, Master Card and Pay Pal. You will get a detailed email confirmation to review the days and number of visits booked so we are completely clear on what is expected of us. To sign up with Pet Nanny just click on ‘Request Service – New Clients’ tab, complete and send. For returning clients click on Current Client, complete and send. If you have any questions feel free to call the office at 734-981-6108 and if you leave a message we will call you within 24 hours or less. What does the initial “interview” entail? When you sign up with the Pet Nanny, you will complete the form from the New Client tab and email it to us so we can review it with you at our initial interview. A member of our Office Staff will assign a professional Pet Nanny who lives closest to you to call and make an appointment with you at your home. The Initial Interview is free when you book with Pet Nanny. If you don’t book with us at the time of the Initial Interview we charge $20 but is refundable on your 1st service. We meet you, your pet and become familiar with your home/routine and discuss all pertinent information about your pet’s needs. Is the information I provide the Pet Nanny kept confidential? Yes!!! We do not disclose any client information of any kind to third parties. All client information is protected by Pet Nanny and utilized only in such a manner as to be able to fulfill our assignment obligations to you and your pets. Can I be assured of the same Pet Nanny each time? We prefer to keep the same Nanny assigned to you each time. However, if that individual is not available for some reason such as vacation, hospitalization, or quitting, a fully trained substitute from our growing staff will be available for back up. You will get continuous service for you and your pets. How do you choose your Pet Nanny? The Pet Nanny’s foremost priority is the safety and security of our clients, their pets and property. Our Pet Nanny goes through an extensive screening process that includes reference checks and criminal background history checks. Our mid-day dog walking when clients are at work is about 15-20 minutes. We also can come for your pets for Doctor Appointments or shopping trips, anytime you’re away for awhile. Vacation/travel when no one is home at all, we spend between 30-45 minutes each visit in length depending on the pet’s personality and the number of pets. How am I billed and when is payment due? We are pre-paid like any professional. We are prepaid at the Initial Interview for vacations. As a returning vacation/travel client, payment is either due at the time of scheduling or leaving a check on the kitchen counter so when you’re Nanny comes in for the first visit she/he will collect it. If we don’t receive payment there is a $10 fee each week late. Our weekly clients pay at the beginning or end of each week. Please call me for any special arrangement needed. We accept Cash, Check (made out to Pet Nanny), Visa, Master Card and Pay Pal. If you cancel a visit we will either refund or credit your account and carry it over to your next service. May I give my Pet Nanny a gratuity? Absolutely!!! We work 365 days a year. You may give gratuities directly to your Nanny or if you prefer pay it to the company with a note. 100% gratuities go directly to your Nanny for all they do for you and your pets. Please do not place our Pet Nanny staff in the uncomfortable position of offering them employment apart from Pet Nanny. You are only assured the Insurance and Bond thru our Company. Our Pet Nanny staff is contractually prohibited from soliciting or accepting employment directly from Pet Nanny Clients. What if my property is damaged or pet gets hurt while I am gone? The Pet Nanny agrees to provide the services stated in our service agreement in a reliable, caring and trustworthy manner. The Pet Nanny is only liable for claims arising from negligence or willful misconduct. Due to extreme unpredictability of animals, we cannot accept responsibility for unusual mishaps (i.e. biting, furniture damage, etc.) Also, if your pets have access to the outside, we are not responsible for injury, disappearance, or fines.